SEO vs. Social Trends – Facebook’s biggest benefit is its most obvious. It operates through social networking and trending rather than pure SEO – the hottest trend of this brand new decade. It allows readers to see your ads on their mobile phones – and mobile devices now outnumber personal computers, 4 to 1! It is also cheaper than Google AdWords, and while the latter is still a wonderful way to kick-start a campaign, AdWords can be risky for newer marketers, as costs per click can skyrocket faster than your sales. Will it replace AdWords completely? That shouldn’t be your goal! Plan further down the line to do what the big boys and girls do: Kick-start each campaign with well-optimized and researched AdWords. Facebook vs. Adwords Costs – But whether you use Adwords (SEO based) or Facebook ads (social networking based), Facebook ads nowadays are a “must” – particularly with the not-sosubtle switch over to mobile devices! But it’s great for beginning marketers because at the moment, it’s significantly less expensive to advertise on Facebook than with PPC! Graphics Capability – It’s other biggest benefit is that you can introduce a graphic element or photo into what is basically just a small text ad! Since Facebook is “tuned” to graphic elements, and interest has been shown to peak when graphics are displayed, it wins hands-down over AdWords tired, irritating banner ads (traditionally low converters for over a decade). Text Capability – You have 75 words to say what you want to say in Google AdWords (that’s less than half a tweet!) Facebook ads not only allows you a 25-character headline, but 135 words of body text, too. (That’s over double Google AdWords’ capacity – but note; spaces count.) Does SEO Still Matter? • … and yet a third group appeals to you, but it may take you days of repeated exposure, seeing the same ad many times, before you finally give up and click through. You want your ad to be in the latter 2 categories. And you achieve that through solid, wellresearched long-tailed keywords (combined with your irresistible, curiosity-arousing 25 character headline and 135 character body text). Get those elements right, and you’ll have an ad that bypasses casual searchers (how many righthand- side Google search page paid ads do you ever click on, compared to Facebook Ads?) and zeros in on a 75% pre-sold, pre-qualified market. • Honda recently used Facebook Ads to keep consumers updated (and do serious damage control) after its recent spate of shocking recalls. • Budweiser encouraged social interactivity with its customers when it invited them to select which commercials to show during televised sports games. • Guitar Hero became the first online video game to reach 1,000,000 fans on Facebook Even Coca-Cola jumped on the bandwagon, selling “virtual bottles of coke” and promising to donate $1.00 for every virtual bottle sent to their favorite cause. If you’ve been wondering what a “likesumer” is, it’s yet another social phenomenon you can use to your advantage. According to Forrester Research, a “likesumer” is simply a consumer who has “become a fan” of a brand on Facebook. Keeping in mind that a less broad and more specific demographic is likely to be yours (unless you create a truly buzzworthy product like Farmville) you can certainly play to small niche Facebook markets. A good rule of thumb is to make sure the niche customer you wish to reach actually does operate via social networking at least as much as – if not more than – through standard PC use and Google searches. You can also target specific geographic areas, using Facebook Ads (by country, state or province, town or city). And remember, when someone brands him or herself as your fan (or “likesumer”) when they click your “Like” Button, they are letting you know they are ripe for your offerings. Your Profile Pages is Your Friend! The main reason you can target so specifically, in spite of Facebook itself have a broad, generic demographic, can be attributed to profile pages. And as much extra information as you chose to share. Among the things you share you can bet people can find great long-tailed keywords! 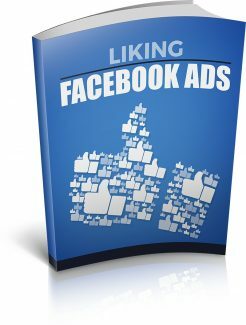 These are what you should use when creating your Facebook Ads – targeted specifically to your ideal customer, of course. Use your keyword in your headline at the very least – and again in the text (always providing it feels totally natural: Remember, Facebook puts “social” before “SEO”).